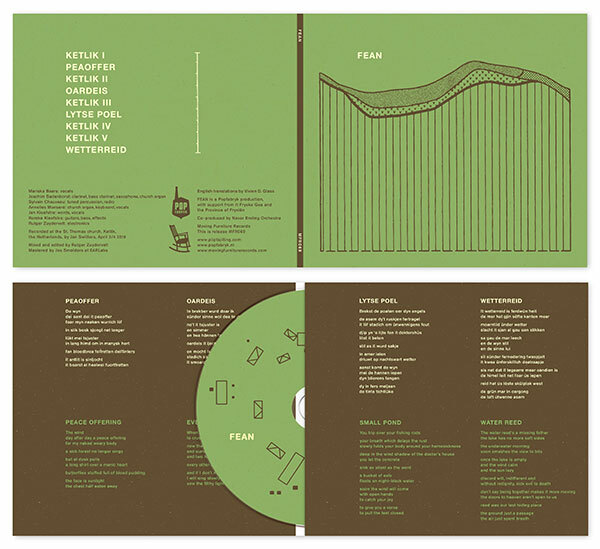 Fean is the collaboration between the people behind Piiptsjilling (Jan & Romke Kleefstra, Mariska Baars and Rutger Zuydervelt) and Sylvain Chauveau, Annelies Monseré and Joachim Badenhorst. FEAN started as a musical artist-in-residence project in a little church in the Frysian village Katlyk. The group consists of Jan Kleefstra, Romke Kleefstra, Mariska Baars and Rutger Zuydervelt (Machinefabriek), who also form the quartet Piiptsjilling. For FEAN they are accompanied by Belgian guests Annelies Monseré, Sylvain Chauveau and Joachim Badenhorst. The FEAN project gets its inspiration from the ecological decay of peatland in the Dutch province Friesland and in other parts of Europe. Agriculture and peat extraction are threatening the landscape severely and with long term consequences. This forms the underlying thought for the improvised recording sessions, which were overseen by Jan Switters. 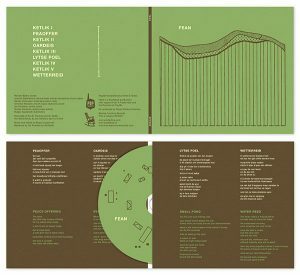 Although the Piiptsjilling members are obviously used to perform and record together, adding the three Belgian guests (who didn’t play together before) added an extra dimension to the group’s dynamics, resulting in a concentrated yet playful series of improvisations, that were later mixed and edited for the FEAN album.